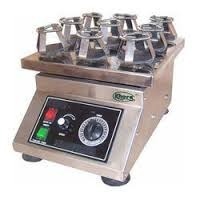 Leading Manufacturer of rotary shaker from Chennai. Being the leading names in the industry, we offer technically updated array of Rotary Shakers that are used in varied light and heavy duty industries. It is used for mixing and dissolving the chemicals in accurate proportion. Our entire product range is abrasion resistant in nature and is delivered in standard technical dimensions.